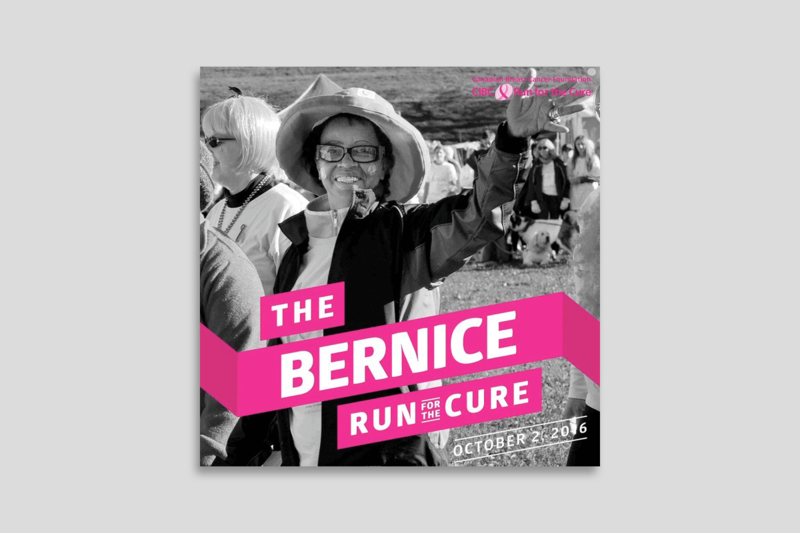 While working at Juniper Park\TBWA I worked on the 2016 campaign for the CIBC Run for the Cure. 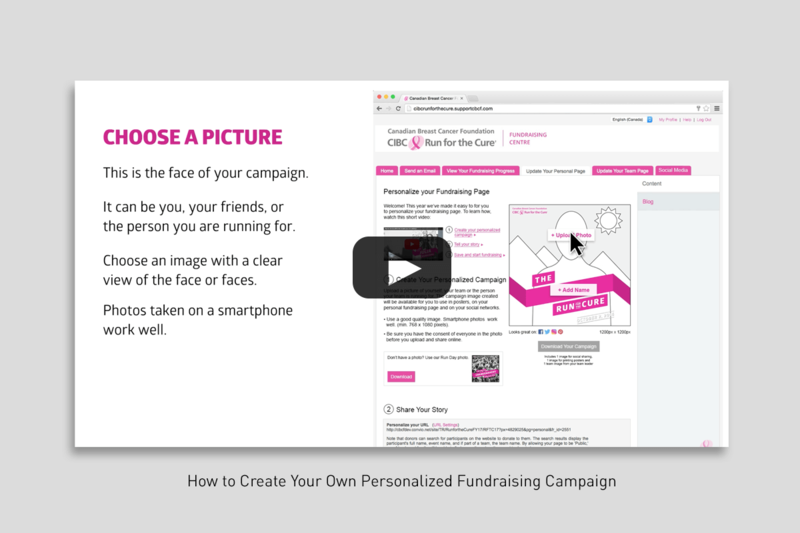 Our team came up with the idea of creating thousands of campaigns, rather than just one. 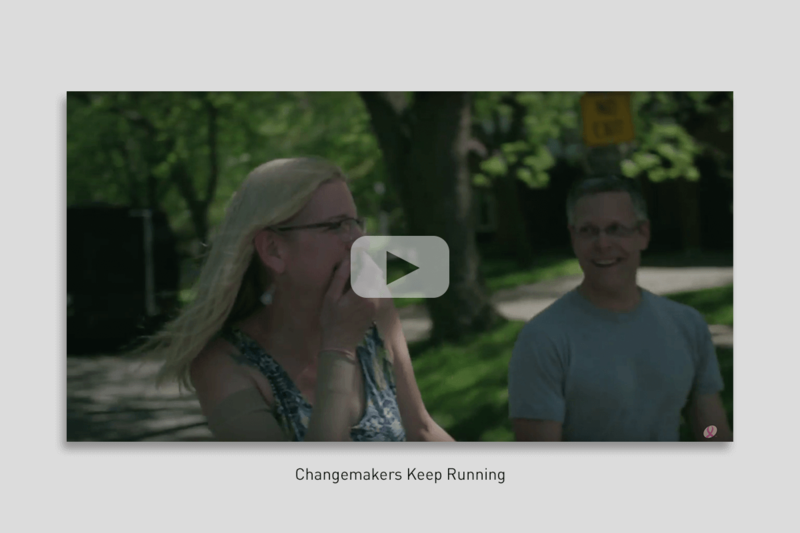 We would achieve this with user participation, allowing individuals to create their own campaigns when they registered for the Run and becoming, as we labeled them, Changemakers. A large part of the work I did focused on the website that would allow people to create these campaigns, while also working on the overall design of the campaign up front, and later developing all the digital assets and some out of home work. 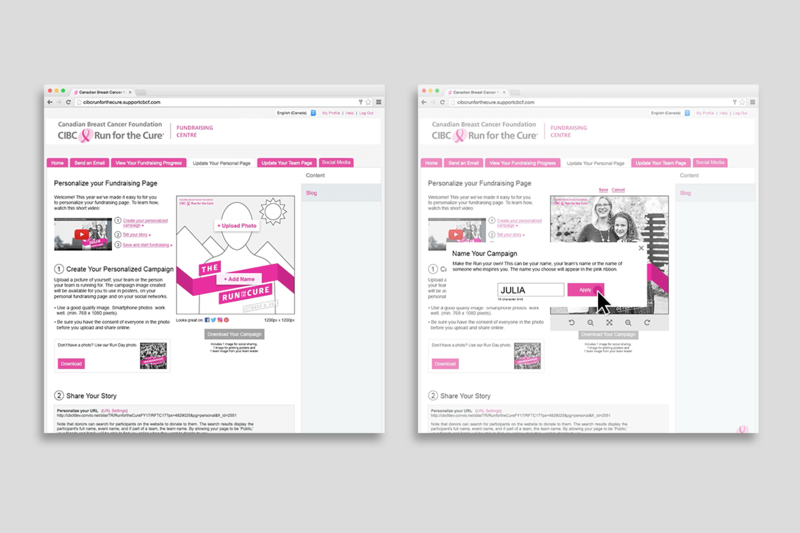 While working on the website I collaborated closely with our technology lead on working out the wireframes and ultamitely the final design. I presented this work to the client along with my CD, and we worked together to solve all the things the client asked us to consider. The result was a very successful website that saw a lot of user engagement. 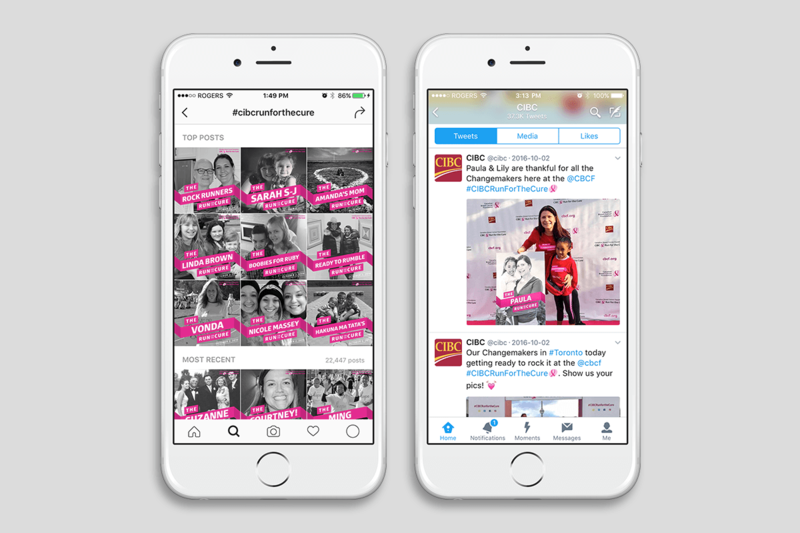 When users created their campaigns, multiple social assets were automatically created to share with their teams, friends and families to increase awareness and garner donations. 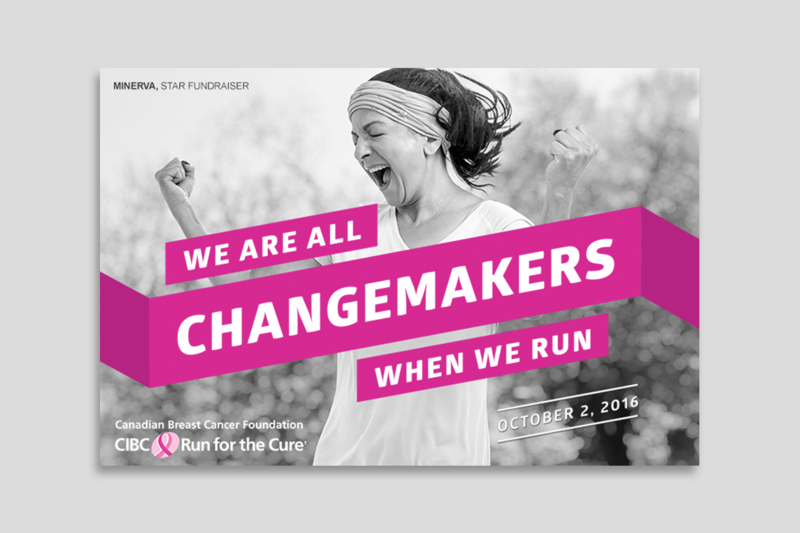 By Run Day, thousands of people across Canada had created their own campaigns and become Changemakers, raising millions of dollars for the Canadian Breast Cancer Foundation.